Didier Deschamps led Les Bleus to glory at the 1998 World Cup and will be hoping he can win another major trophy as manager. However the French camp is rarely free of dark clouds, and the Karim Benzema blackmail affair, which has led to the striker's exile, and claims of racism in Deschamps's selection policy could unsettle the squad. 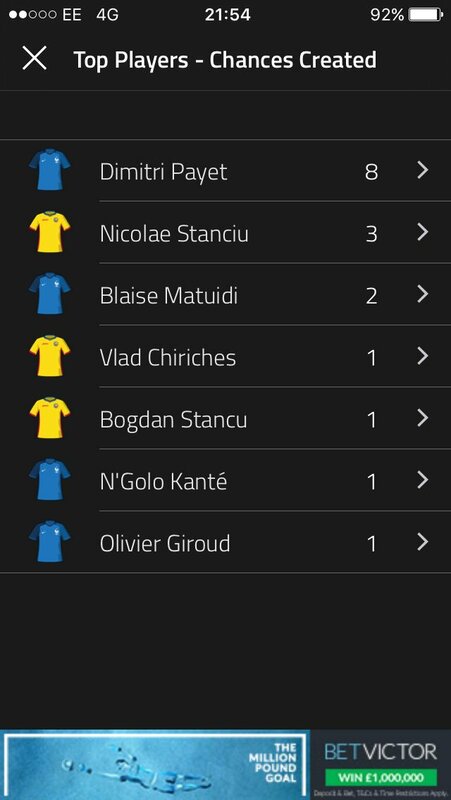 On the other hand, the personnel Deschamps has at his disposal is impressive. "The hosts have arguably the best and most dynamic midfield in Europe with players such as Paul Pogba, Blaise Matuidi, Dimitri Payet and N'Golo Kante," says The Guardian. The Swiss have several stars, but failed to trouble England in qualifying. "This is a talented generation of players, with the likes of Granit Xhaka and Xherdan Shaqiri likely to be around for a good few tournaments yet, and a wealth of impressive youngsters coming through also bodes well," says Eurosport. "But they have lacked cutting edge in past appearances at major tournaments." Anghel Iordanescu's side is short on stars but is well-drilled and hard-working. They will be no pushovers. "Romania's organised and extremely stingy defence is the envy of all other managers at the tournament – they conceded only twice in ten qualifiers," says the Guardian. The rank tournament outsiders. "Not only have Albania never qualified for a major international competition... they also have only made it to two minor ones," notes ESPN, which adds that the players were presented with Albania's highest civilian award just for qualifying. However, they should not be completely written off as they beat Portugal in qualifying. I actually think France will win it. Their spine consists of, Lloris, Koscielny, Kante, Pogba, Matuidi and Griezmann (if he plays as the 9). Then you throw in Coman, Payet and Martial and they also have a couple of strong full backs. I also think Payet will be player of the tournament!! These opening ceremonies...not sure about the Can Can and Edith Piaf being EDM'd. Ohh sh*t - it's David Guetta doing that thing of his, putting his pen drive in a computer and then putting his hands up in the air, rocking his head as his computer plays his playlist. Some girl fell over during the Guetta dancing. Maybe the pitch is a bit lumpy! There were saying they needed to try get a balance in the opening ceremony. France is still in state of emergency so nothing too over the top, but do want to have some fun. And not too long. Giroud up front with Payet and Greismann. Kante in the middle, interesting to see how he gets on..
France have some quality players. Pogba is a class act. First time I've watched Pogba properly and agree he does look a class act. A Viera / Yaya type player but boy does he look fast and fit and quick feet. Fergie what a mistake. Romania probably had the best of the first 10 mins, should've scored. France coming into it more though last 10 mins, hit post, but decent from Romania to keep them out. The French attack is completely blunted by having that lump up front in between two quality players, reminds me of one of our players! France's midfield is sickening. Kante, Pogba and Matuidi. Omg, yes, I was thinking the same thing, he looks the odd one out. Romania rock solid defensively. France had two solid chances though. Always a bit worried that France would become undone by nerves like Portugal against ultra defensive Greece 12 years ago. What's that you lot were saying about Giroud? I got a tenner at 25/1 on a giroud Golden Boot with France to win it. Giroud is a goal scorer. I'm one of the few on here who seem to rate him. Surely that wasn't a penno? It was ya know and what a cracker too !! Payet is a lovely footballer. That pitch at the Stade de France doesn't look perfect. Looks like it's cutting up a bit. Isn't he just and just saves French skins !! Though he was poor in the first half mate. Superb in the second. Payet and Kante, what f**king players!!!! Not the most convincing display by France but deserved win. And sure, what a goal. Yep, though Greissman and Pogba went off early, Payet was really good all night, and took a cracker of a goal. Fair play to the lad, has been doing it all season for WH, and comes up with the goods when it counted under a lot of pressure in the opening match at home. Deserved win for France if not perfect. Settle a few nerves no doubt. France were poor, but an opening game by the home team.. so fair enough. They'll come good. Huge favour from the rather bias ref though who gave Giroud the goal when he clearly fouled the goalkeeper. They've just had 2 years rain in 1 week so not surprised with pitch plus them covers for opening ceremony and dancers would have drawn moisture up. Kante will be valued at £40 million after this tournament. And Leicester signed him for £5.6m. Have France no other left backs? Evra is abysmal he makes Moreno look like a defender. And Leicester sign him for £5.6m. I know mate but there will always be hidden gems. We did sign Cou for only £8 million after all. Ahh of course! Forgot about that. Got to admit I have not really seen much of Kante previously and I admit he is a good player as a pure DM, but doesn't seem to offer much else. Decent opener I thought. Payet and Kante continued their marvellous PL form and were France's best players on the night. Romania looked well organised and quite dangerous on the counter too, decent chance of getting out the group. Referee was poor, he wasn't going to give the clearest of penalties before his linesman thankfully intervened. Kante...boy, we should be in there fighting hard to sign him if there's anything doing. Who ever would have thought Leicester would be able to offer CL footy while we can't! Hard to believe he's still playing (only one with Lloris to have "survived" 2010 world cup debacle). I see like half a dozen full backs I'd trust more in our home championship alone (ie : having legs), he's purely there because of his larger international experrience and big club pedigree (while I don't remember he had any really good performance in his last 30 caps or so), and perhaps because he's an ex-Monaco player from the time Deschamps trained them. Wtf did we not go for Xhaka? In those 45 mins of watching the Swiss, I see Alonso in him. Dzemailli is the one midfielder i thought really stood out. Nice to see a midfielder burst in to the box and get on the end of attacks. Hope he knocks one in (for the sake of my fantasy team). 'I'm supporting Switzerland this tournament - always been a fan of theirs. Can't wait for Albania v Switzerland! '...said no one ever. Been a decent game this, thought the red card would have killed it but Albania have done well. This Embolo kid has looked good since coming on. Only 19 but built like a f**ker. What a save that was by Sommer. How's he got his hands up to that? Good game, that. Didn't expect it after the red card but both teams had a fair crack at it. Shame for Albania. Deserved something from it. Looks like Albania won't be push overs! Good to see some quality football from them. Wow wow, really didn't want Albania to score because it would have fu**ed my accumulator up second game in... but wow what spirit and fight they showed. They performed brilliantly with 10 men and deserved something from the game. Credit to them! Should really score with the chances they had but well played Sommer in goal for the Swiss, some cracking saves. According to Swiss newspaper "20 Minutes" Manc is in negotiation to sign him for £15 million. "Leipziger Volkszeitung" reported that £90,000 a week contract is on the table. Enjoyable game. Keepers were the best players on the pitch. Switzerland unimpressive in the circumstances really. Rumours that Pogba and Griezmann dropped for tonight in favour of Coman and Martial. Payet to play behind Giroud with Matuidi and Kante in midfield. Swiss v Romania now. Not expecting too much in this one. Who would your money be on? I'm going Romania. I was literally typing how Switzerland is my pick but they lack a goal scorer and Seferovic misses a sitter. He has looked sh*te so far this tournament. Romania still have trouble scoring so I'm going to say Switzerland nick a 1-0. I really like the movement of Dzemailli for Switzerland. A midfielder that drops back but always willing to burst forward in to the box and not isolate the lone striker. Hasn't done too much with the ball but always in a good position. I like how France are setup with their 2 midfielders. Yes, not quite a creative midfield, but they are marshaling the middle well. I think it's time for them to drop Giroud and bring on Griezmann! As for the Albanians, they are impressing as a team! The rest have been sh*te. Two games and that Marseilles pitch look poor, goal mouth really cutting up. France with a last minute goal again. They're going to have to do better than this if they want to win it, not been impressed with them at all. Looking like two late wins for the French. Done well the Albanians was willing them to get a point . Payet makes it 2-0, player of the tournament so far. Payet, a constant threat throughout the match, what a player. Just do not fancy France but two late wins. Pure home advantage results. Every game Tyldesley screeches over is spoilt straight away without a ball being kicked. If I had a way to sync up a radio commentary while watching it would be like medicine. Can't see the reason for having two defensive midfielders like Kante and Matuidi against a team like Albania. With so much attacking threat in that squad just too negative, hardly surprising they laboured for most of the match. Yeah, but they did change it at half time, and it made a huge difference. I actually thought Kante should've come off for Cabaye when they reverted to a 433. Unlucky Albania. Brilliant effort by them and 2-0 is very very harsh on them. France? My pre tournament favourites but there's something lacking there at the moment. All honesty I didn't realise the injury problems they had but they could do with something extra. At the moment it all too much reminds me of Brazil during the World Cup two years ago. Unconvincing performances guided through by the advantage of playing at home. I HIGHLY doubt that they will implode in the manner like Brazil did though because they don't have the sort of prima donna histrionics that made Brazil such a joke two years ago like bawling their eyes out to the national anthem and giving Neymar cringeworthy martyr like adoration after he got injured. That said, it's great to see just how competitive this tournament is. It's been really good stuff so far full of excellent and exciting matches. Payet's going to cost someone an arm and a leg with his form! Slaven Bilic Climbs on ITV Table. Pogba looking a different player tonight. Pogba is a bloody tank. Just wrasped a left foot shot from 25 yards that had Sommer beaten. Hit the crossbar. He's popping up in both boxes. Last ditch blocks and then runs to try finish off moves. Massive bias to the French players again tonight. I want pogba, also must add that sissoko's looked good tonight, but of a marauding beast. Sissoko is a poor mans Pogba. Not gonna lie, that Xhaka is absolutely quality and I would probably have him over Pogba for our midfield. Can't believe he is only 23 too. A rocket up sissoko's arse and given pogba needs a few years of development I'd take championship sissoko now.